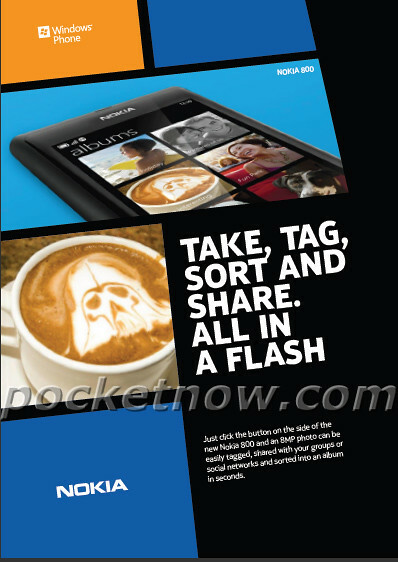 As Nokia World draws closer, leak photos, images and info starts to appear around the world. This has got to be one of the best leaks so far. 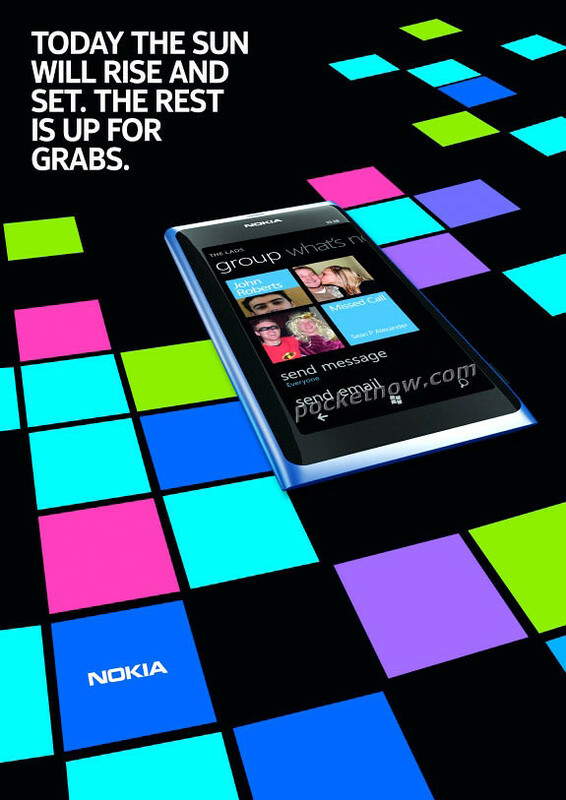 Nokia’s first Windows Phone, codenamed ‘Nokia 800’ has been revealed in a print ad today. Remember Nokia ‘Sea Ray’? Yes this should be it and it’s proven by having a similar body as the N9. This Nokia 800 has been nicknamed ‘Lumia’ at some parts of the world and rumor has it that there are a few more models appearing soon including Sabre, Sun, and Ace. From the ads, seems like Nokia is trying to promote the 800 by focusing on the camera with quick capture button, a signature feature on all Windows Phone. So there you go. First Nokia Windows Phone has been revealed. We shall wait for more devices like this to be announced soon at Nokia World end of this month. 2 Responses to "Nokia 800 Leaked! The Sun Will Rise & A Windows Phone Is Revealed"
Well, dayum. That’s possibly the sleekest hardware design for a WP7 device I’ve seen thus far. Similar design to the N9, which makes it even sweeter. What matters will be the price tag..